When people think of wisdom teeth, they often picture the chipmunk face you’re left with after extraction. Wisdom teeth extractions have become extremely common. 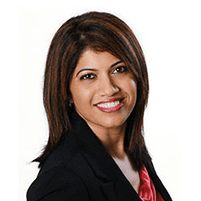 At Perfect Smiles Dentistry, Kavitha Gowda, DDS, provides men and women living in or around Everett, Washington, with comprehensive wisdom tooth consultations and with high-quality treatment options for impacted wisdom teeth. Call today or schedule an appointment online to learn more. Wisdom teeth are the last of your adult teeth to grow in. Most people notice their wisdom teeth growing between their late teens and early 20s. They sit in the back of your mouth, directly behind your molars. Nevertheless, it’s important to keep in mind that wisdom teeth don’t always grow in. They might partially emerge or stay buried in the gum tissue. The most common cause of wisdom tooth pain is when the teeth surrounding the emerging wisdom tooth are impacted — when there isn’t enough room in your mouth for the wisdom tooth to fully grow out. This can lead to the tooth growing at an angle, getting stuck in your jawbone, or partially emerging. In these cases, you might experience damage to neighboring teeth, gum or tooth decay, or the formation of cysts. Get in touch with Dr. Gowda to avoid wisdom teeth-related complications. What are common symptoms of impacted wisdom teeth? As they grow in, wisdom teeth press on the nerves in your gum tissue, effectively causing inflammation or bleeding in your gum line. You might experience continuous toothaches and, as a result, headaches. Dr. Gowda recommends that you call the office immediately if you feel that you’re experiencing any of the above symptoms. This will allow her to perform an X-ray to measure the extent of the damage and identify necessary treatment measures. The team at Perfect Smiles Dentistry can work to remove one or all of your wisdom teeth, depending on the recommendation of your provider. In most cases, the extraction procedure lasts no longer than an hour, depending on the number of teeth being removed in that one sitting. Dr. Gowda makes an incision in your gum tissue and bone to remove the tooth. In most cases, she uses dissolvable stitches to close the incision. After a few days, the stitches will go away naturally without the need for another visit to the dentist. Some people prefer local anesthesia while others prefer general anesthesia. Dr. Gowda can recommend a technique based on your overall health and surgery-related risk factors. Call or go online today to book an appointment with Dr. Gowda if you’re experiencing wisdom tooth pain.